My Favorite Valeo medicine ball is 12 years old! That’s right. 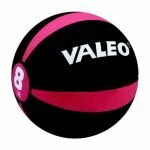 I have gotten daily use out of my trusty Valeo medicine ball and all my clients know that the blue ten pounder is my favorite ball that I always use to demonstrate and lead client training drills. It has gotten more use than any of my other brand X medicine balls and outlasted them all by far. Some of the more expensive balls can’t even last one summer outdoors in the heat with my wall slamming drills on concrete. We have had them burst and fall apart within the first week of use. However, my trusty Valeo is still in great shape! Wall slams on concrete outdoors in the Vegas sun. You’ll waste your money if you try that with any other medicine ball. You can read all the reviews you want, but take it from me. I have been doing intense medicine ball training OUTDOORS over 15 years and you will not find another ball like the Valeo 8-Pound Medicine Ball. 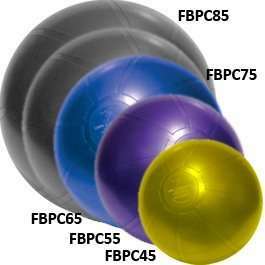 It has a quick bounce for reactive training and it is the clearly the most durable among all medicine balls. These are the ultimate in core training drills and only a Valeo medicine ball is up to the task.